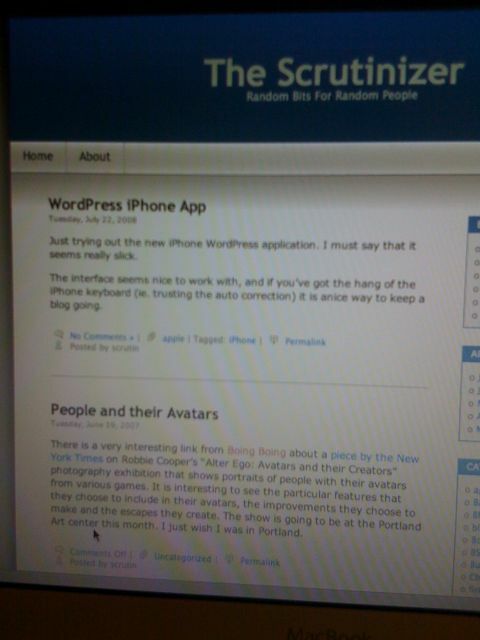 Just trying out the new iPhone WordPress application. I must say that it seems really slick. The interface seems nice to work with, and if you’ve got the hang of the iPhone keyboard (ie. trusting the auto correction) it is a nice way to keep a blog going. You are currently browsing the The Scrutinizer blog archives for July, 2008.